The Treasure of the Basment! The Quest for the Magic Candle Concludes! At long last our mighty quest has come to an end. 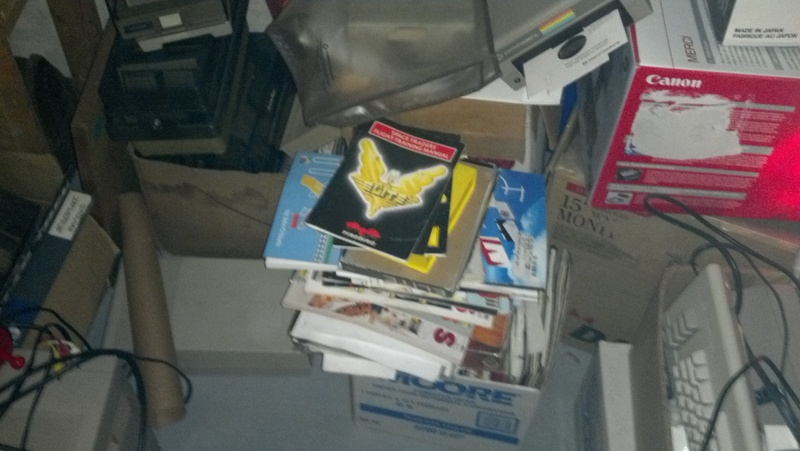 The manual has been found, scanned and made into a CBZ archive. I tried the superior CB7 format, but couldn’t get it to load consistently, and with JPEG you aren’t going to get much of an advantage anyway. I don’t own copywright on this, if you own the rights please let me know and I’ll take it down. And now, without further ado, The Magic Candle Manual. Sorry about the hosting site: I wasn’t sure what to do with it. If anyone has better suggestions let me know. For those who don’t know a a CBZ file is a Comic Book Zip file; that is a zip file that is just image files number in order. 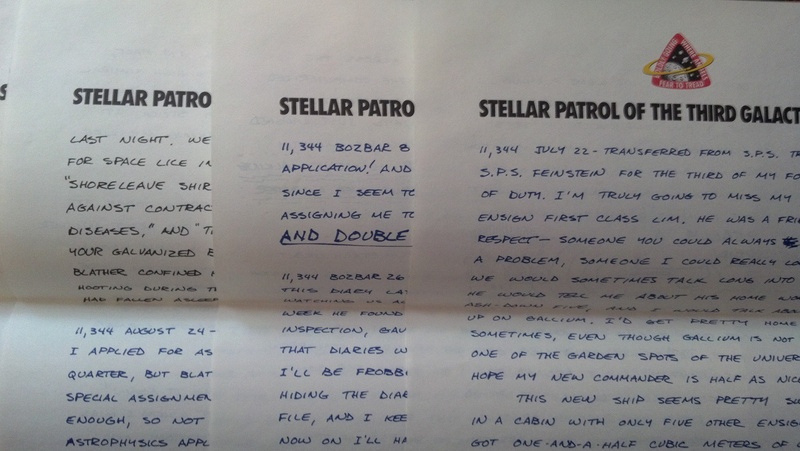 Similarly a CB7 file is a 7z file of pages numbered in order (CBR = rar, CBT = tar, etc.) You can read this simply by unziping it, or by using a reader: SumatraPDF will open the file if you have that installed. Personally I like CDisplayEx. Once again, my fellow adventurers, to regal you with the tale of The Quest for the Magic Candle. 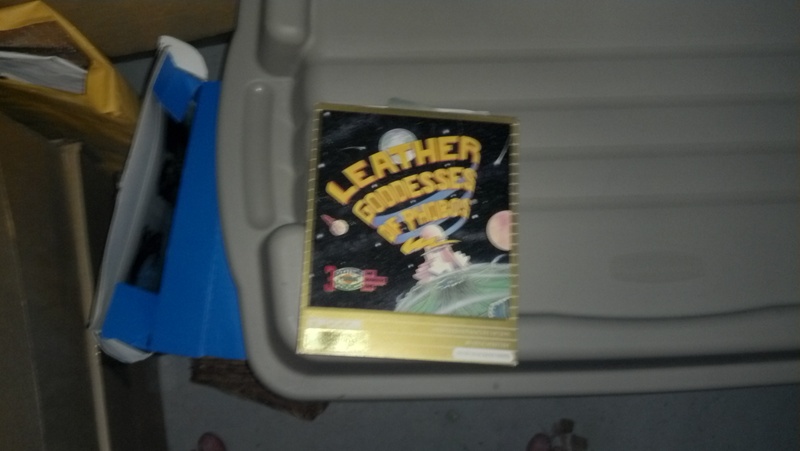 I continue to go through the treasures I have found in that mysterious land known as My Parents Basement. While The Addict rated the origional Bard’s tale quite highly it appears to have been the only good game in the series, the later instalments descending into grindfests. 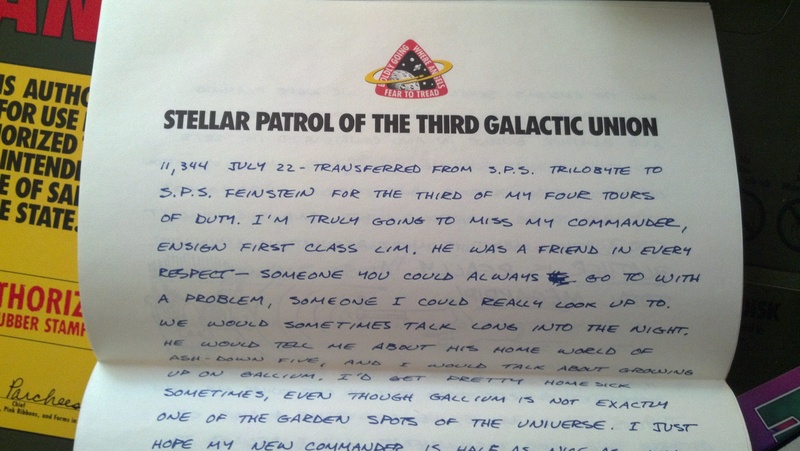 Another cool handout, this one from the game Planetfall, an old text adventure. Sadly I didn’t take a picture of the box for some reason. On the other hand, faux-handwritten notes seems like they would get tiring to read after a couple of pages. 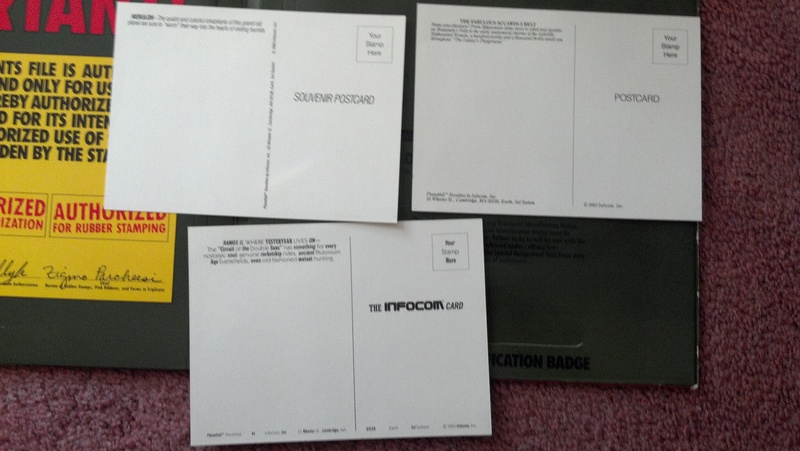 Now here is something cool that came with the game; Three postcards inviting you to visit distant worlds. I wonder if I printed off a sticker and stuck it over the ‘This is a postcard’ notes if I could actually use these as postcards? Probably a bad idea, since the game seems to have all its parts, and it isn’t like I can replace them. That leaves me only one last, final treasure to show you, the very thing I quested for, The Magic Candle…. One again we return, to see what treasures of old I found in the deep, dark, crypt of my Dad’s basement!I went on a quest to the dark corners of the basement, and came back with treasures beyond imagining, a selection of which are shown below. 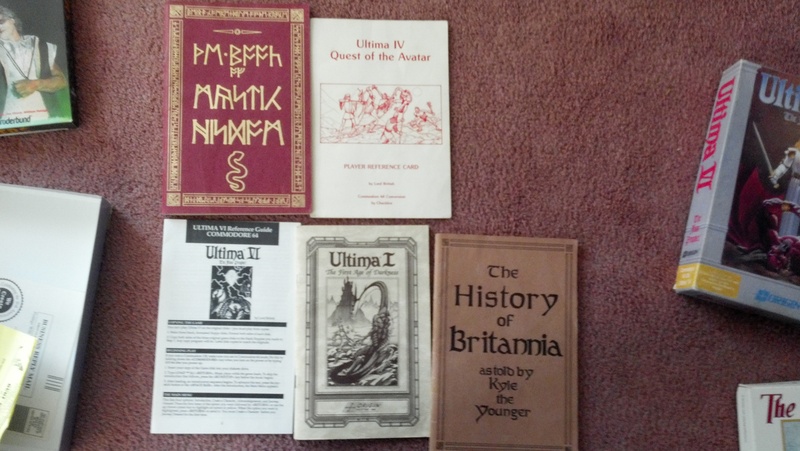 Ah, The CRPG Addicts beloved Ultima IV. 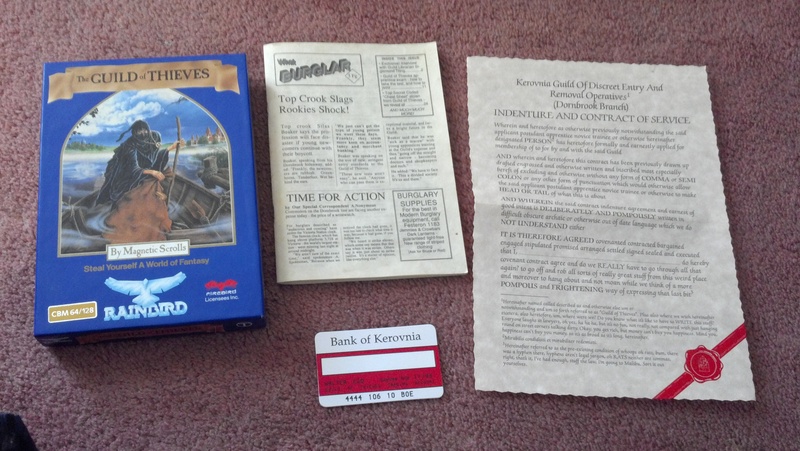 It came with some great stuff, though I think one of those manuals was put back in the wrong game box. 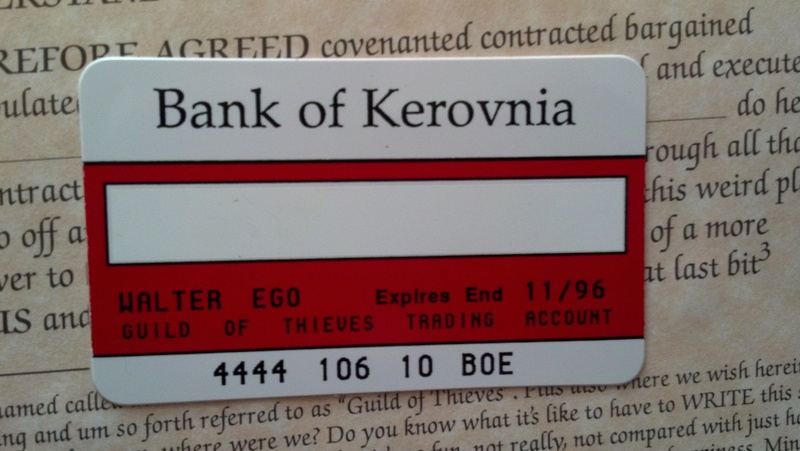 The text adventure game Guild of Thieves also came with some very cool stuff. The name A. Nonymous still strikes me as highly amusing and original, today even after I’ve seen it used elsewhere. 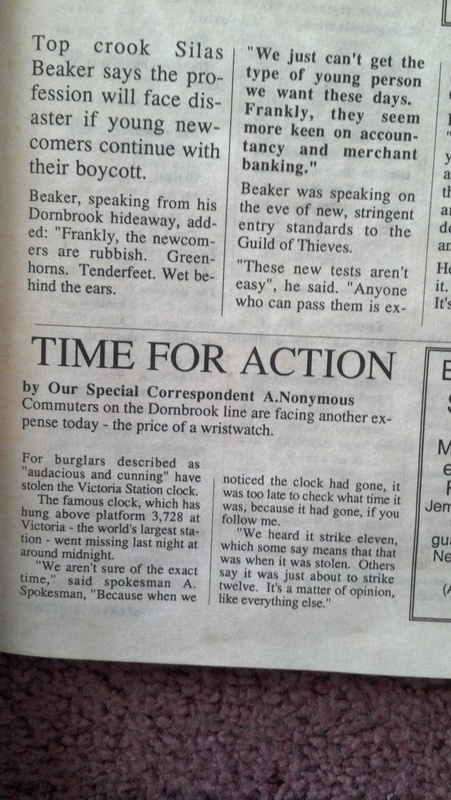 The entire manual was written in a highly amusing style, as I recall. Another cool pack-in that game with Guild of Thieves. 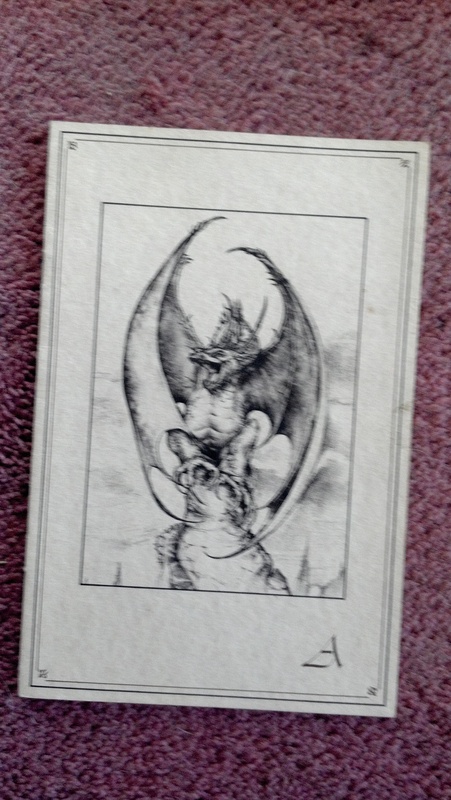 The CRPG Addict has reached 1989, the year The Magic Candle was released, reminding me to post more about the treasures I found while searching for The Magic Candle manual. Yeah, when you hear about epic quests, you never imagine how filthy the heroes get. I have no idea what game this is from, but that is one awesome dragon. 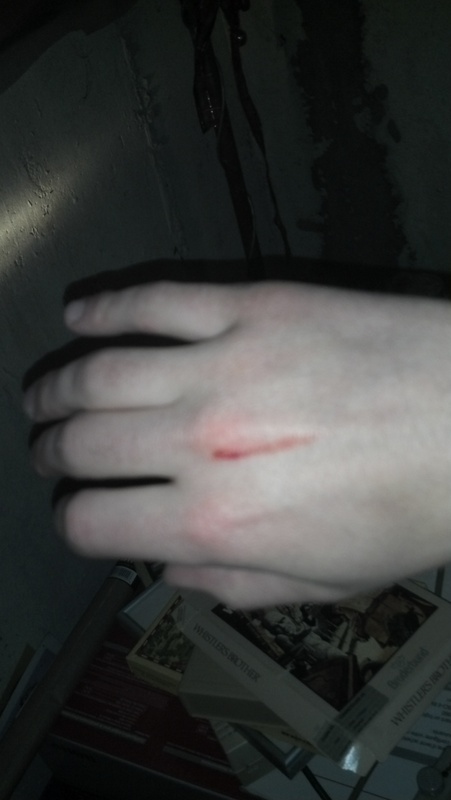 Sadly it loses a lot of its impact due to the blurriness of the image. I wish more modern games would use art instead of 3d models. I know Chet didn’t like Autoduel, but man, you can’t beat the loot that came with the game! Trickster mentioned this on his blog, and I thought he would like to see it. Well, that is enough looking at the treasures from my quest for today. Until next time, Stay Geeky. Sorry for the delay: Work and family issues kept my attention for a bit. However, I can now say that discovering that your brother is home safe from hospital, sans brain tumor that has been plaguing him for a year is in fact, the best possible birthday present ever. I’ve also decided, after the trouble I had getting the last post to work, that I’m going to break this up into many small posts. This has the upside of giving me blogging material for a while. 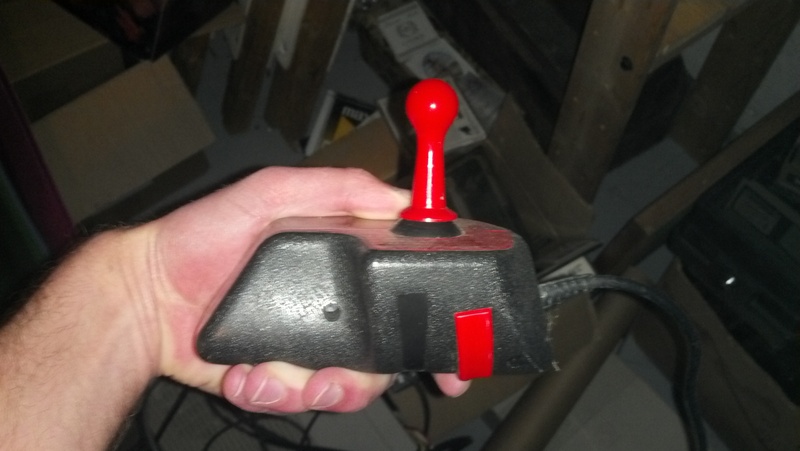 Now this is the joystick I remember my Dad using as I was growing up. Odd looking thing, isn’t it? Needs two hands, so you can’t have one on the keyboard hitting keys. 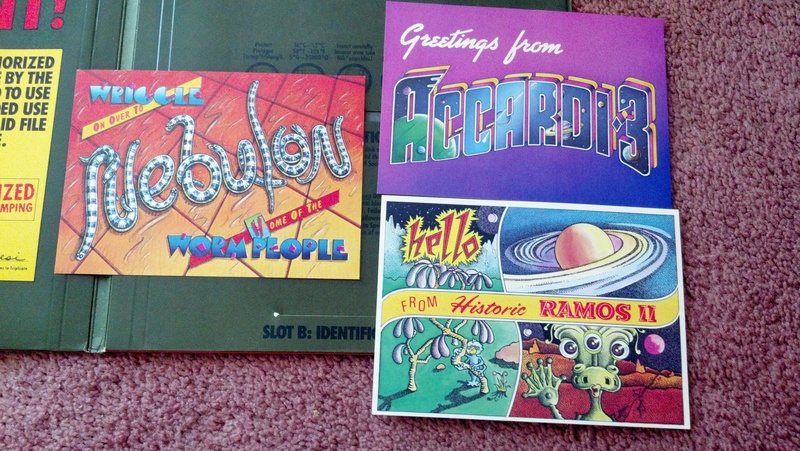 You know, C64 stuff had an odd mix of aesthetics. 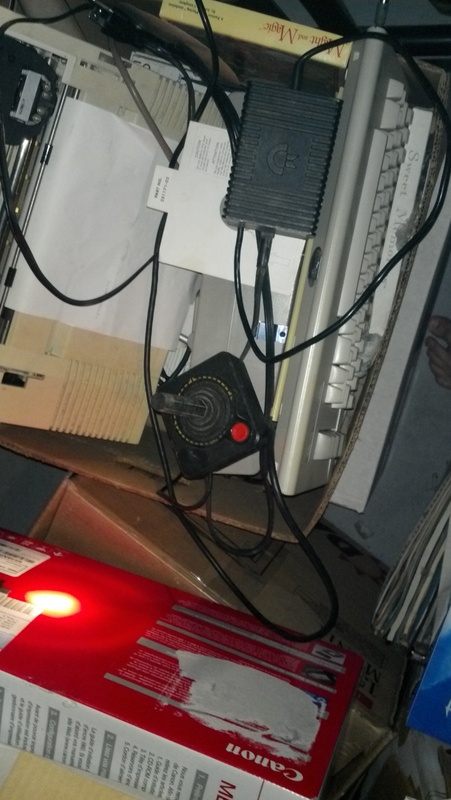 The C64 itself was pretty ugly, but the black and red stripping on this doesn’t look half bad. And that is another of the treasures I found on my quest. This is part 2 of my Quest for the Magic Candle. 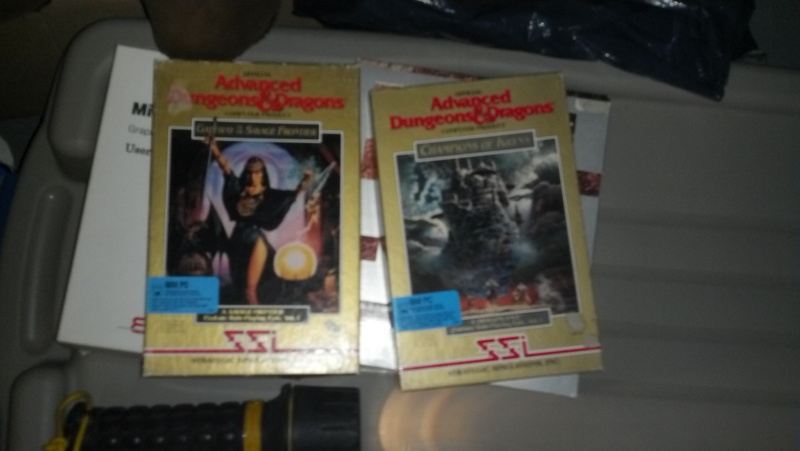 No, I’m not playing through the game like The CRPG Addict, I’m trying to find the game in my Dad’s old C64 stuff.Herein I document some of the rare treasures I unearthed in my quest for The Magic Candle. 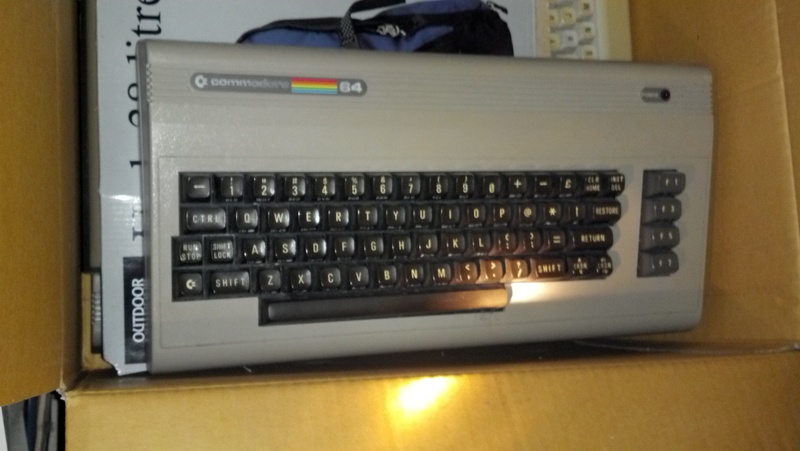 Not your typical Commodore 64; It looks more like a C128 to be honest, not sure why this looks different from the rest. 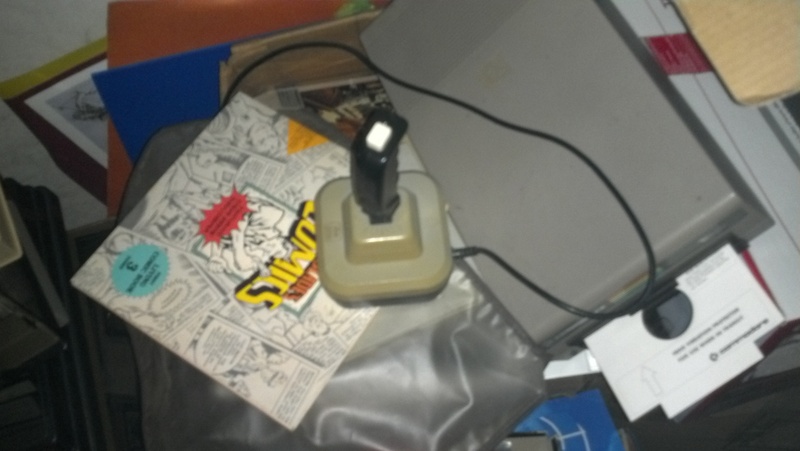 The first joystick I found; Sorry about the bad picture, I didn’t realize how many joysticks there would be, so I didn’t start documenting until the second one. It reminds me of some of those old Atari joysticks, having the button on the base so that it takes two hands to use, instead of one. 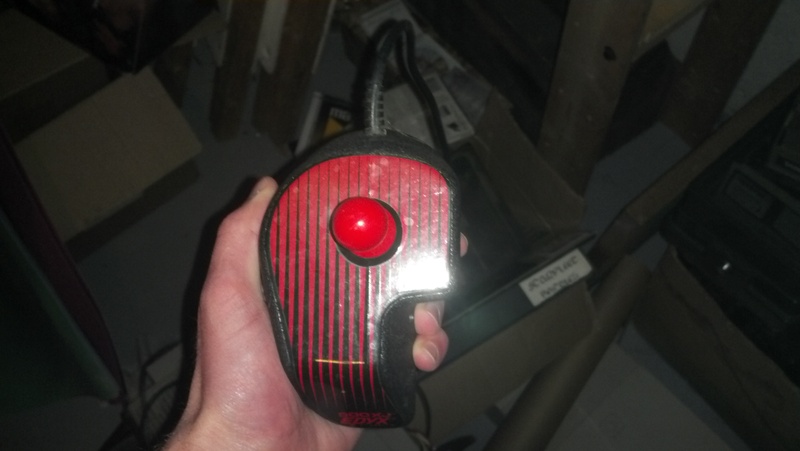 The second joystick I found. Not that different from the one I learned with, on my Dad’s second computer, a 386, except a hard handle instead of a foam coated one, and not as nice a button. 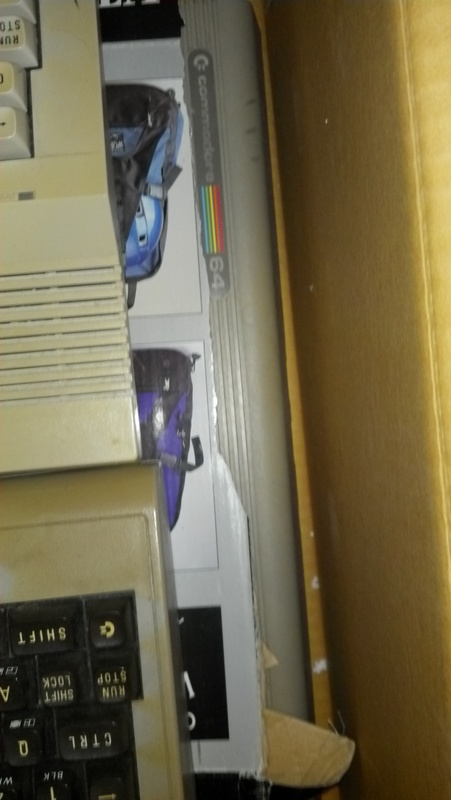 Just letting you know how much work I had to do to *get* to the C64 stuff. 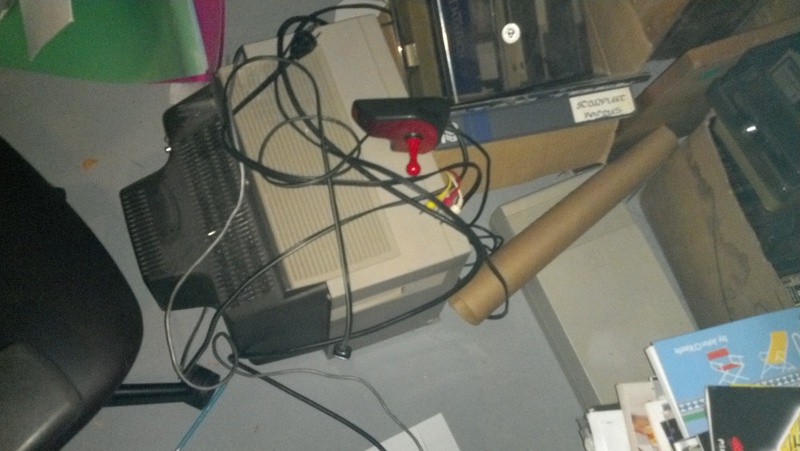 Sorry for the poor picture quality; The light in this part of the basement doesn’t work, so I was working by flashlight. 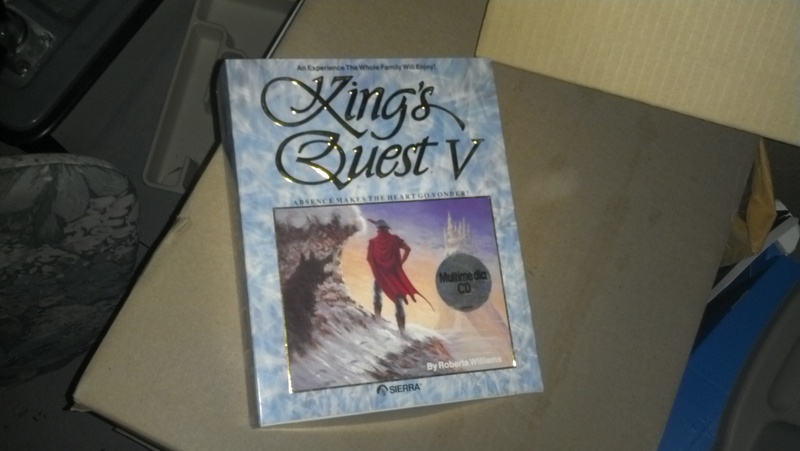 Readers of another blog I like, The Adventure Gamer should enjoy seeing this, a game in the famous King’s Quest series. 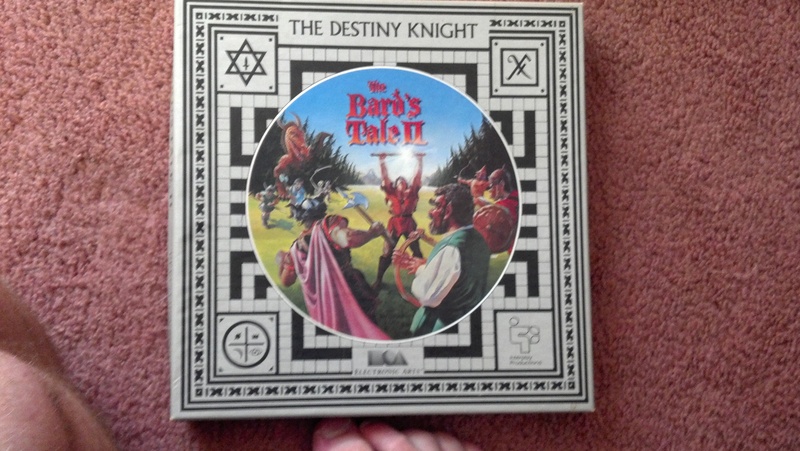 Sadly due to Tricker’s no-text-adventure rules we won’t get to see him play through this game. Hmmm, Dad probably didn’t want me posting this. Oh well. 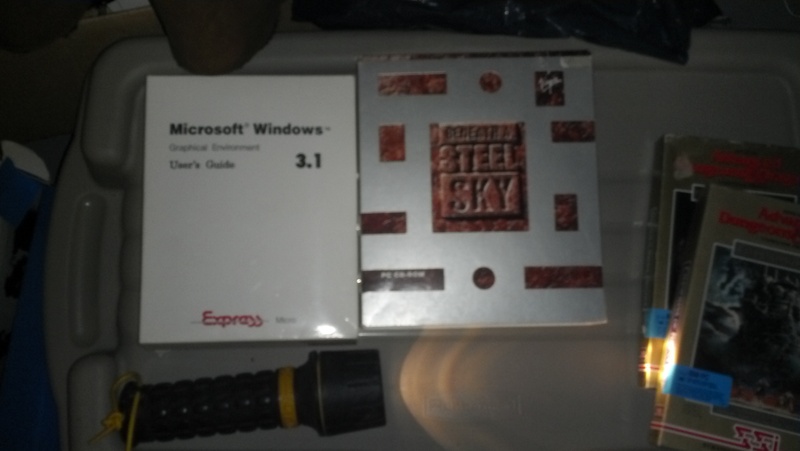 Man, isn’t that a boring box on Windows 3.1? I remember that OS. Beneath a Steel Sky is one of the only adventure games I’ve ever made much progress on. 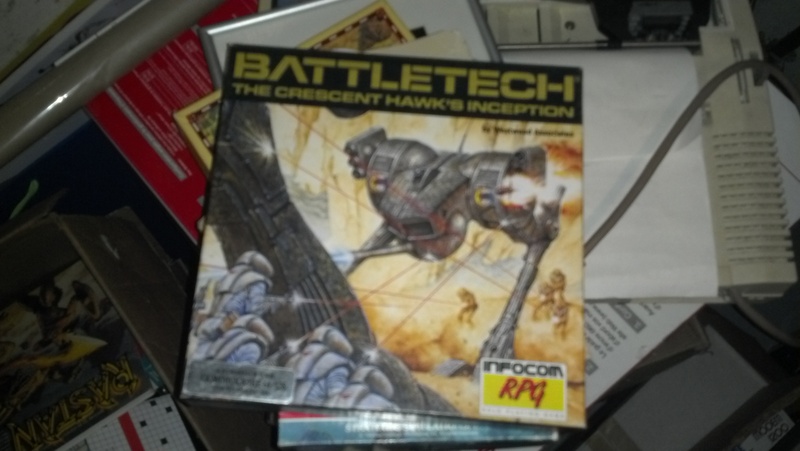 I never played this copy, but I remember it was a boot option on our 386. 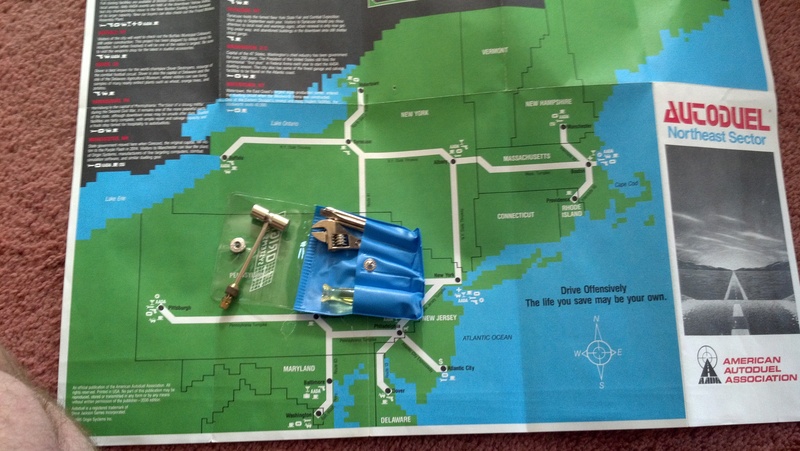 More treasures found along the way! 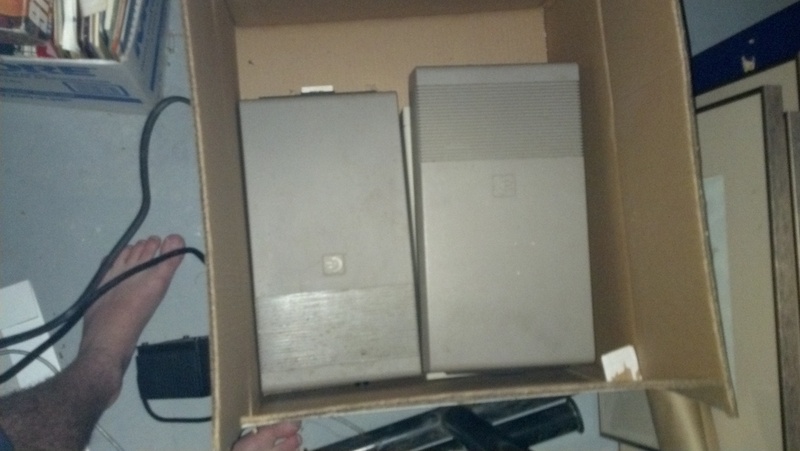 A couple of Gold Box games in their classic Gold Boxes. I can’t wait to see if these are as good as Pool of Radiance. 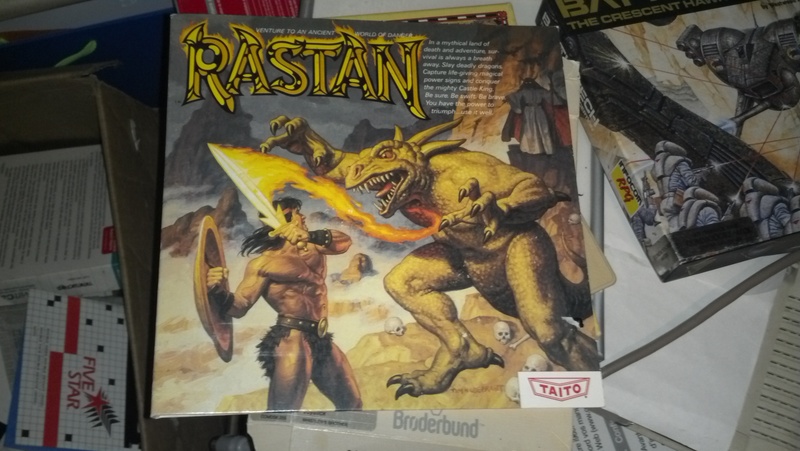 I guess we are going to have to educate Chet (The Addict) on Dragonlance once he gets to Champions of Krynn. 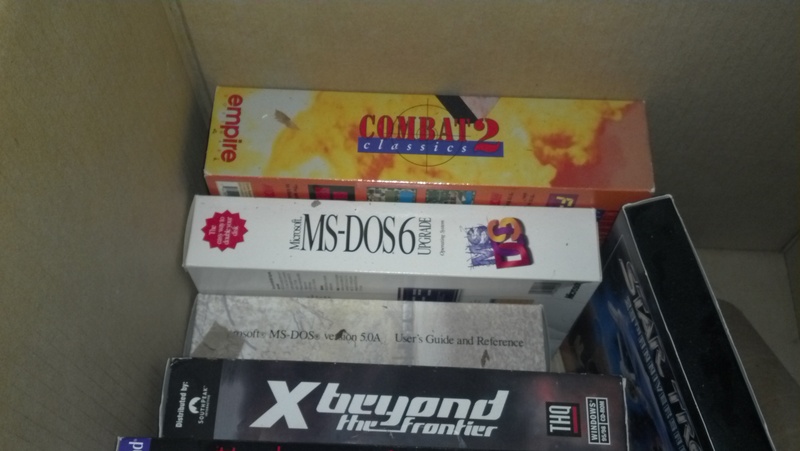 Another box full of software; Two versions of MS-DOS, Some combat game of my Dad’s, and X Beyond the Final Frontier, a game I bought and never played. 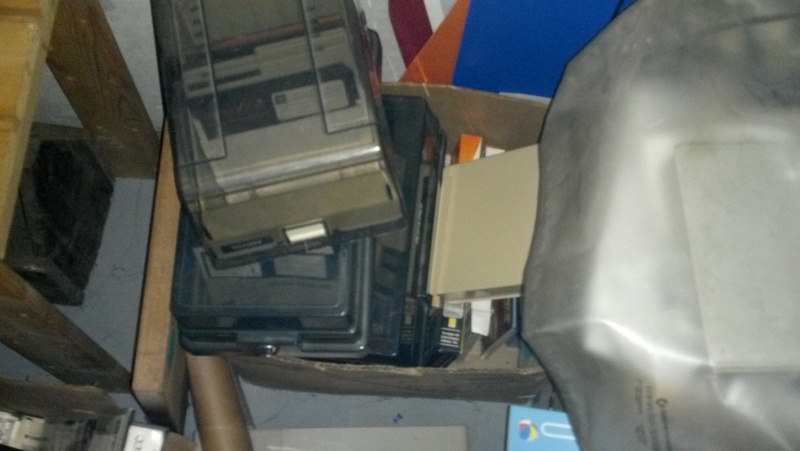 Welp, this all seems to be DOS stuff, I guess the C64 stuff didn’t get mixed in here after all. 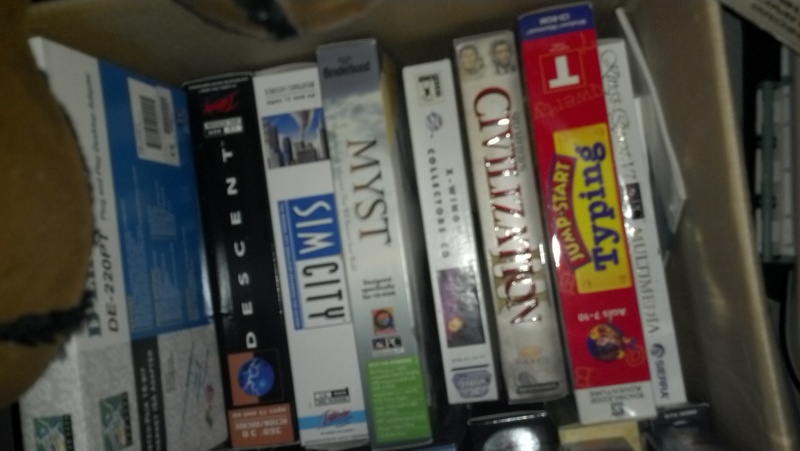 And here I left the land of PC-DOS, the lost treasure obviously not having been mixed in here, and returned to the dark land of the Commodore, to delve deeper intos its towering box mountains. 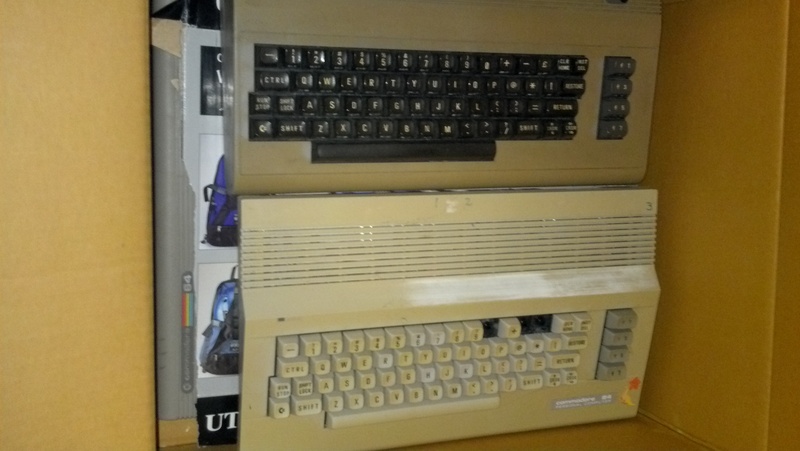 And under it, two more Commodore 64s. And under them a couple more. These things are so easy to pick up off the curb. Ok, this is getting kinda ridiculous. Another treasure unearthed in my search! Anyone know what this gadget is? I’m guessing hold punch, but it doesn’t have any way to clean out the paper. 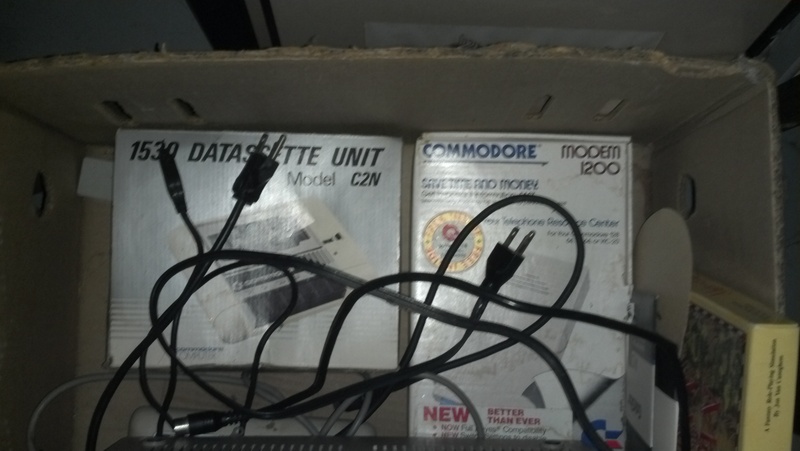 ohhh, 1200 baud modem? 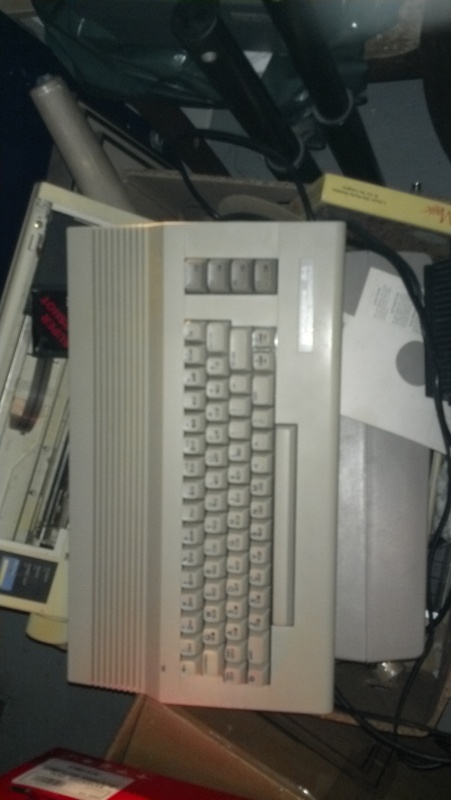 Dad told me how much faster this was then his first one; With this one you had to scroll back up when on BBSes; It loaded the text faster then my Dad could read it. 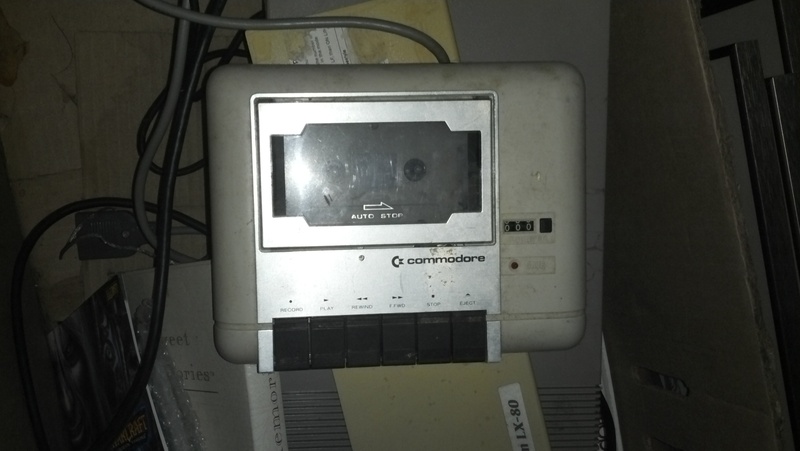 Also shown; A magnetic tape drive; those must have been hell to use. 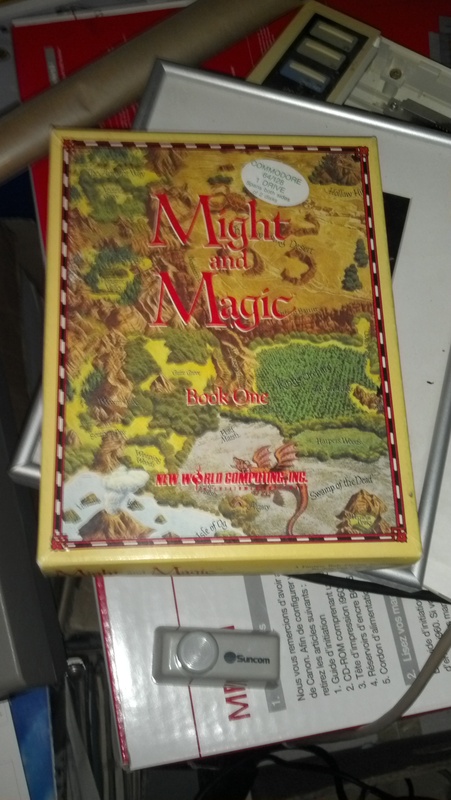 Ah, now here I have found a rare treasure: Might and Magic; One of the highest rated games the CRPG addict has played, still in its lovely box. However, it is not the object of my quest, so I push on. Man, looks like you could play an audio tape on it. *shudder* Imagine having to load an entire program off this thing! 5 3/4″. You Americans and your silly measurements. 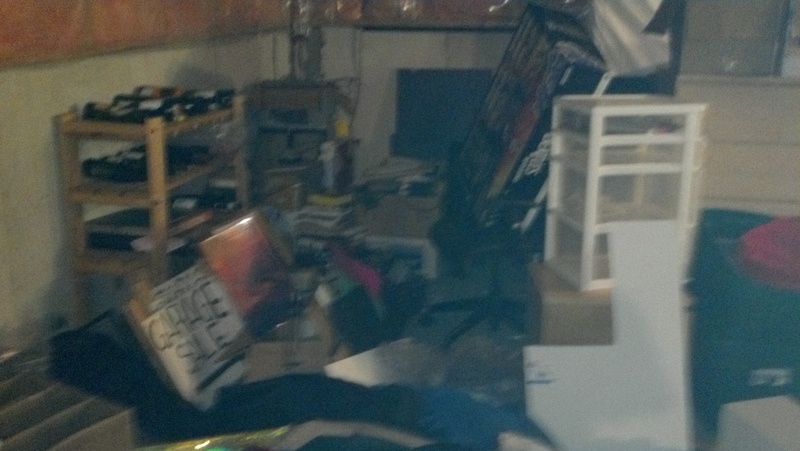 I have more storage on my keychain then all the disks in this basement combined. Hey, this looks kinda cool; Nice box and all. By SSI, who made the gold box games; I hope this is one we get to see Chet play. Is it just me or is this box kinda lame? He is flame whipping the lizard I guess? It sure doesn’t look like he is leaving a trail of fire after hitting it. 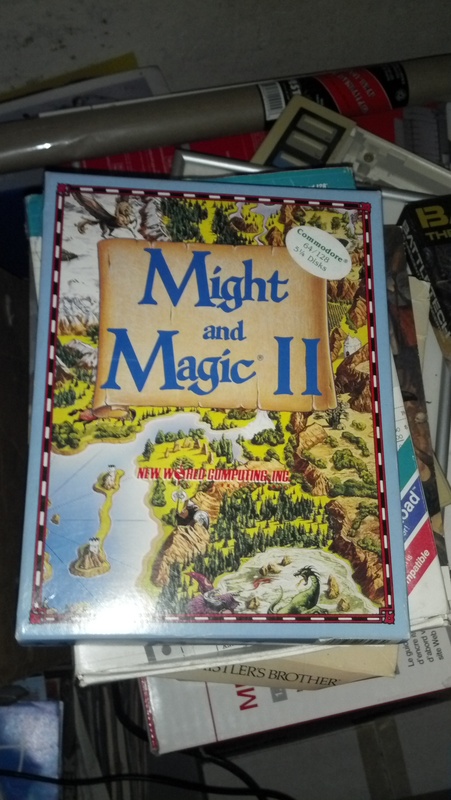 Another game that CRPG Addict praised, Might and Magic II. Very similar box, I guess they didn’t want to waste money on new art. Well, here is another game that did not fare very well when Chet played it. 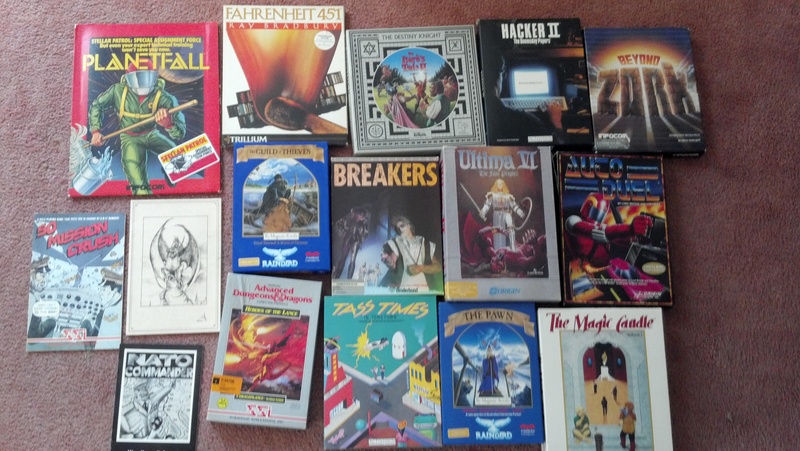 I’m surprised at how many of my Dad’s games have shown up on The Addicts blog; I guess there wasn’t much selection, and that he was buying games in the period of time that The Addict has covered. Elite. Man, this game has an effect on me to this day. I loved the idea of a free roaming space game where you can be anything you want, supporting yourself by trading cargo, bounty hunting or piracy. I’ve looked for modern versions of the game, but not really found anything I like: Most are 2d arcade space games, that I’m just plain no good at. Or really lightweight RPGs. I’d love a complex, detailed modern RPG on the topic. Anyone have suggestions? At last! The Magic Candle! 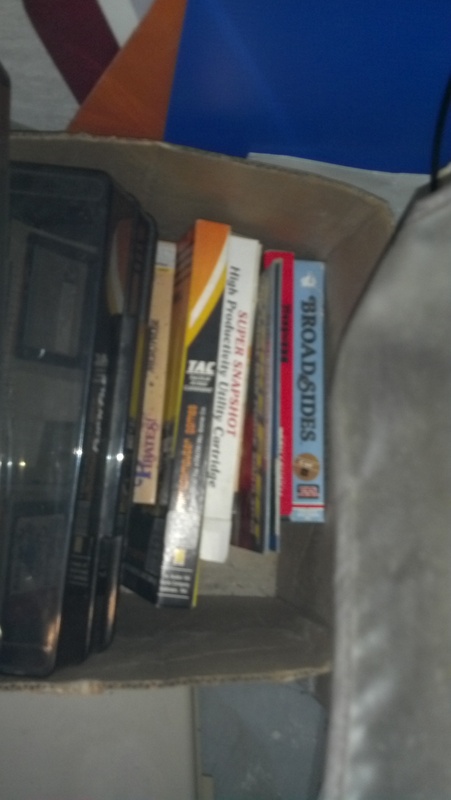 In the very last box of C64 stuff in the entire basement I spy the game I have been questing for peaking out from under some other things. The goal of my quest is at hand! And so did my quest for the Magic Candle end, though I still have to show you what treasures I found along with this item of power. 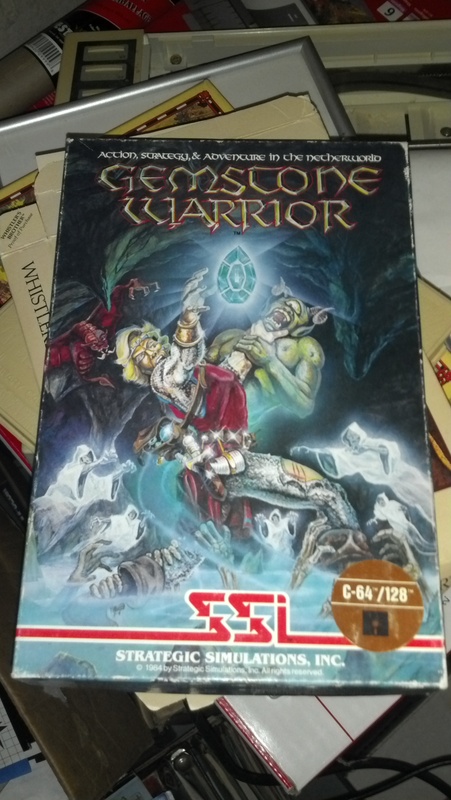 For a fair while now I’ve been a fan of The CRPG Addict. 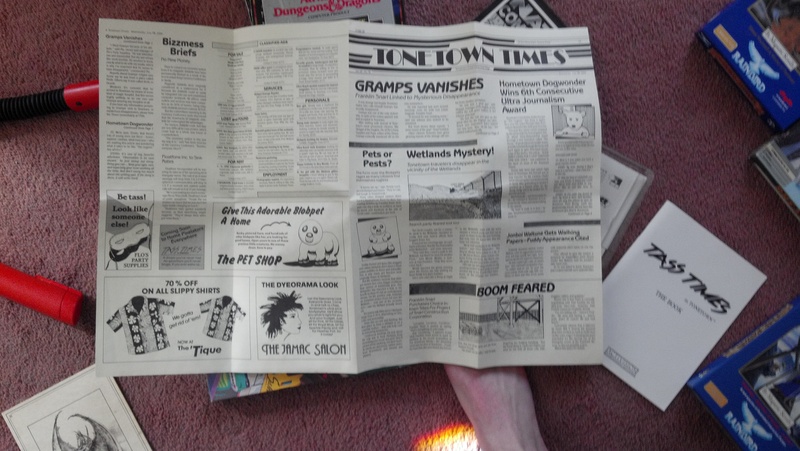 He mentioned that The Magic Candle is coming up, and I remembered seeing that in my Dad’s collection of COMMODORE 64 games in the basement as a kid, and whats more, spending hours reading the manual. 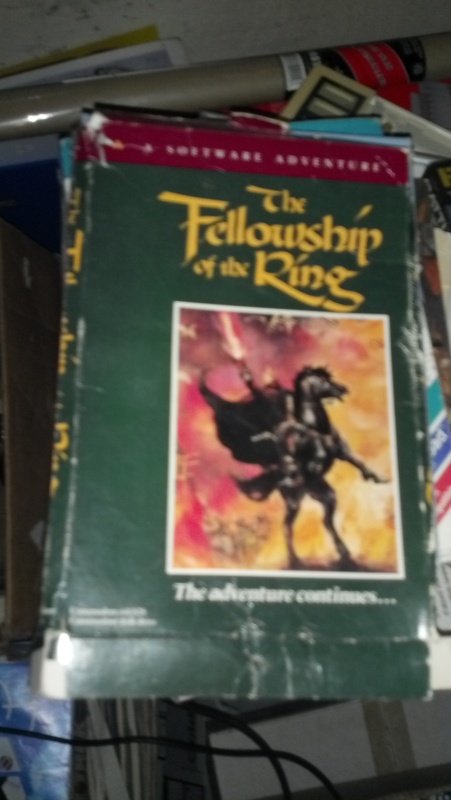 I decided, since someone in the comments thread told me that the manual wasn’t online in a nice form, that I would go on a quest for it. 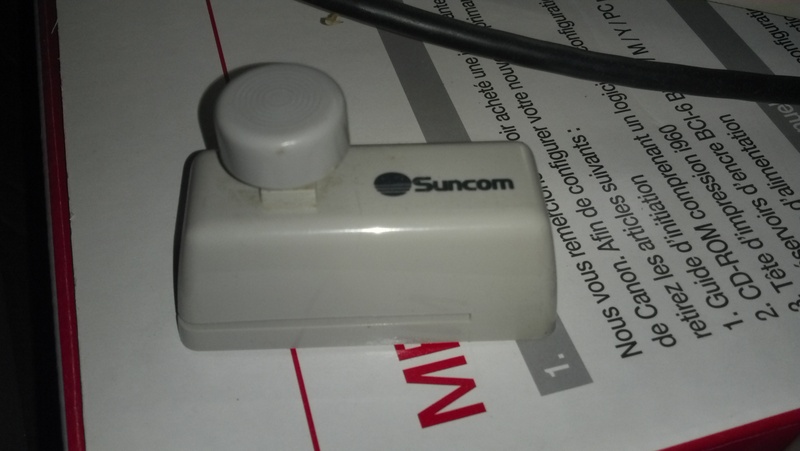 A COMMADORE 64 Monitor: This fell on my leg a couple weeks ago, so it may no longer work. 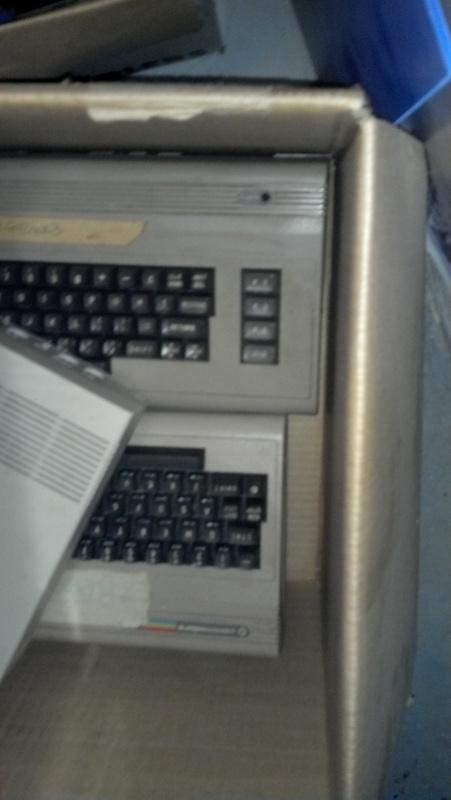 At this point I was just documenting how much C64 stuff we have, I didn’t realize what an epic quest it would be. 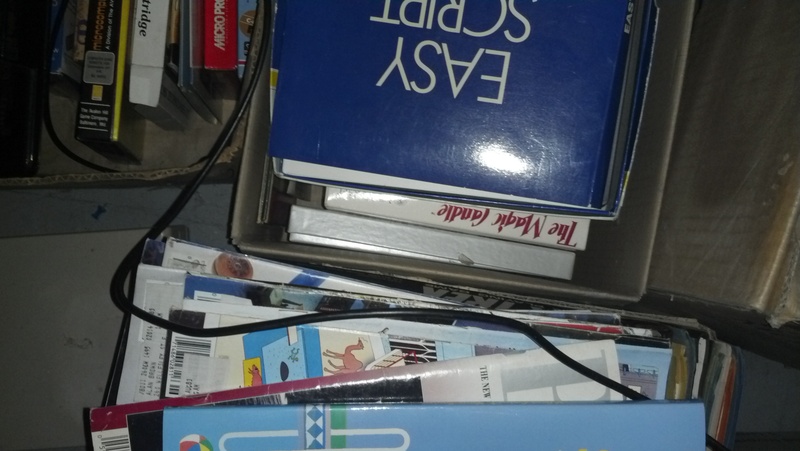 Another box with games in it, though not The Magic Candle. 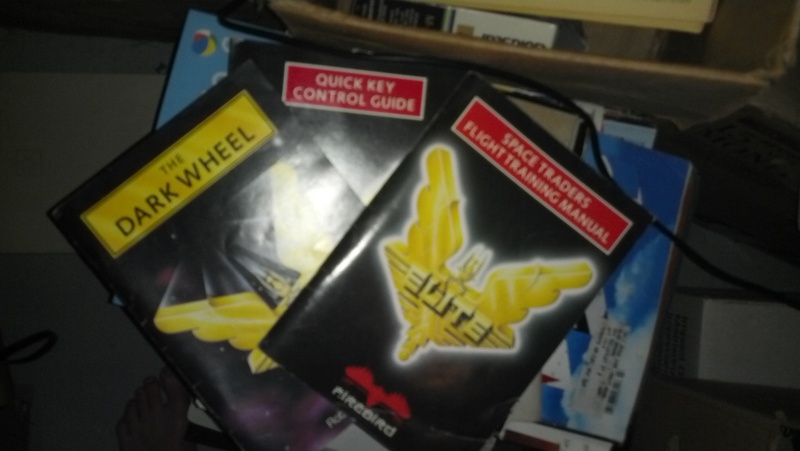 Let me know if you want me to scan any of these manuals. 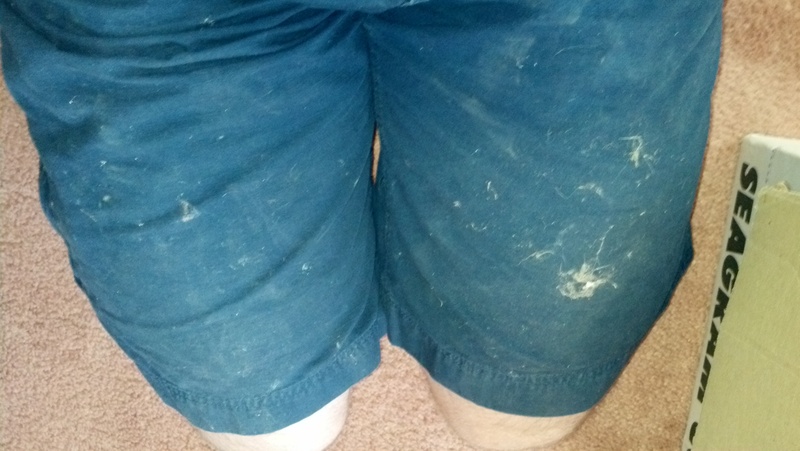 It was at this point that I realized that my quest amid the dust bunnies and coldest floors would not be as easy as I first thought, and I begun documenting it in detail.